In 1810, when Jefferson commissioned a silversmith to make eight cups from his own design, he probably never imagined how popular they would become. Exquisitely simple, extremely versatile, they are as suitable for serving a festive punch as they are for holding cufflinks or paper clips. Gift boxed. 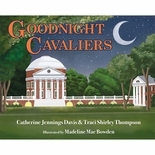 A special offer for UVA Graduates. 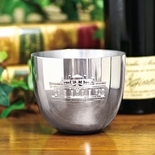 This Jefferson cup features the UVA Seal and can be personalized with the graduates first and last name, the school or department they are graduating from and the year of graduation. All engraving is included in the price. Allow 3 weeks for delivery.